The primary are under the intake if you look closely and the ones on the back are the secondary the 25G is a Mitsubishi TDO7S with the 14cm turbine housing. 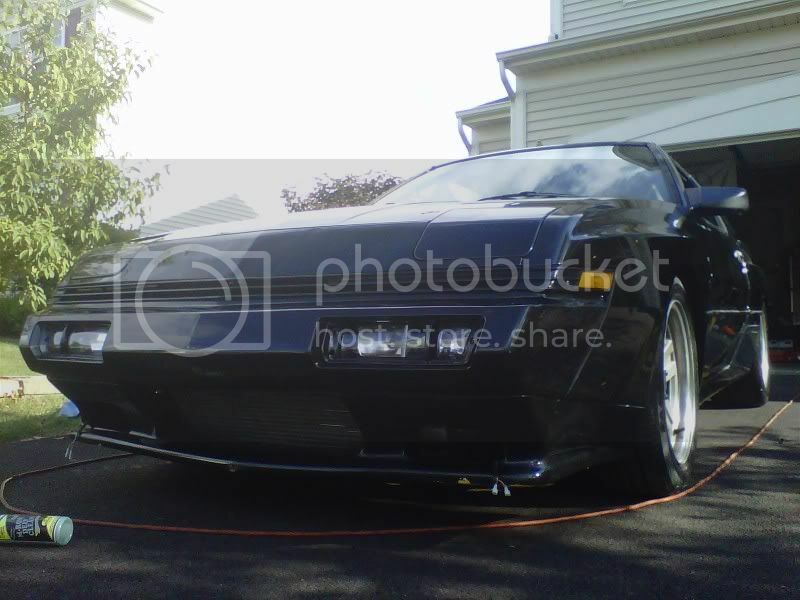 I had made that manifold for the 2.8l I bult to spool the Precision 4067 Turbo I had plan on putting on back then. I didn't know it was an 8 injector setup...Adds to the cool factor. 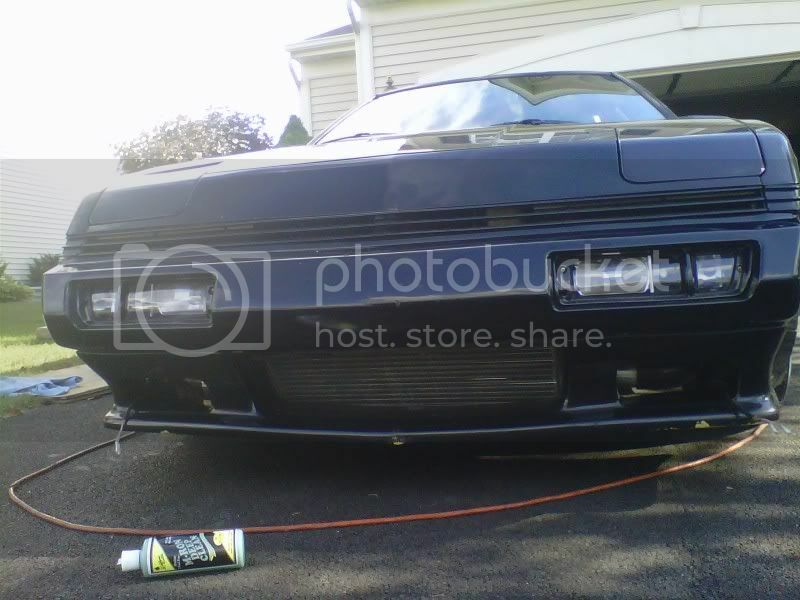 + the huge intercooler+header+huge oil cooler...Its a nice custom setup...kudos. Nice those top to bottom flow are very efficient . Too close for missles, switching to guns! E85, GT4088R, Dual Synapse 50mm wastegates, Apexi AVC-R, Griffin Radiator, 2G Eclipse Flexalite fans, AEM 30-1300, HKS 301 cam, LSP built Marnel head, Del West 1mm oversized Titanium valves, Del West Titanium Valve lock/retainers, LSP Valve Springs, 1600cc injectors, SX AFPR, Fuelab Prodigy 140gph pump, Fuelab Filter, Bag-O-Chips Twin scroll header, Chad's MPI Manifold, 70mm Throttle, 4.62 gearset, Wiseco .030", R&R Aluminum billet Rods, ARP everything, Toyo R888's. Stock lower oil cooler bracket shortened and stock PS cooler replaced but otherwise everything fits. 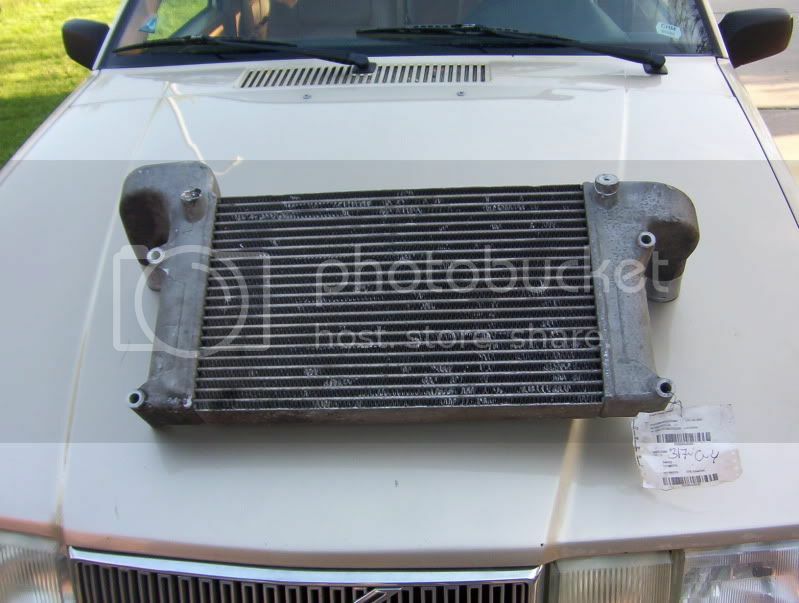 I always think of this intercooler anytime I think of upgrades. Do you recall what size the inlet and outlet are? Probably too much for a stockish Conquest. 2.5" in and out. Perfect for MPI with a 65mm TB. Not too big for TBI. Will work better than stock.